Domino’s Canada has a delicious promotion available this week only. 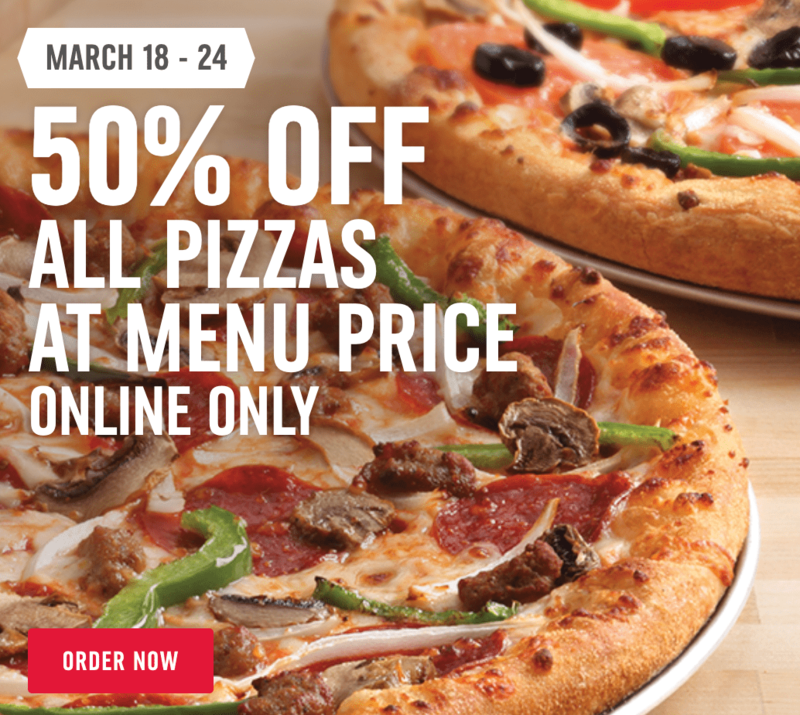 Order online and save 50% off all pizzas at menu price! This offer is valid until March 24 2019 at participating locations only. Click here to order online with Domino’s Canada.